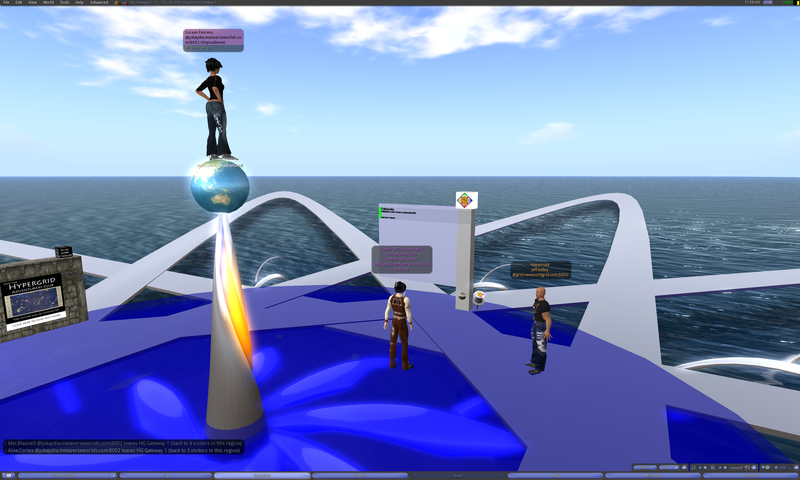 Our first hypergrid jump, arriving on the region HG Gateway 1 on ReactionGrid. 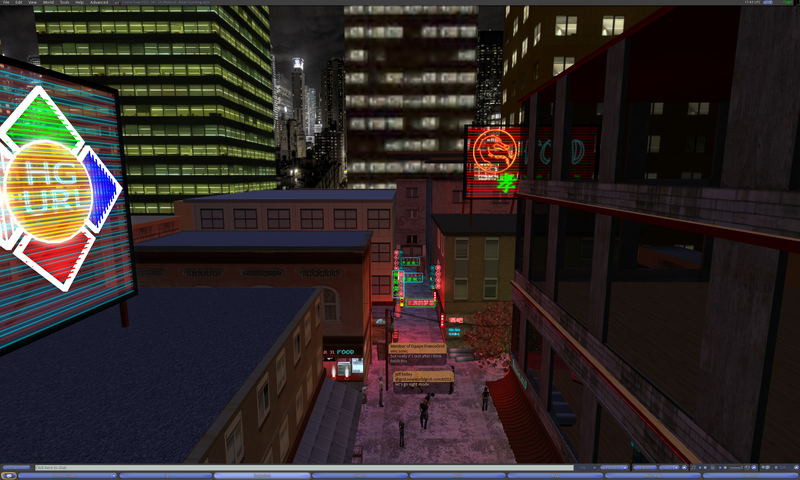 This region is a good waypoint for people jumping between the upper and lower areas of the hypergrid. We arrive on the region Eiffel on FrancoGrid. 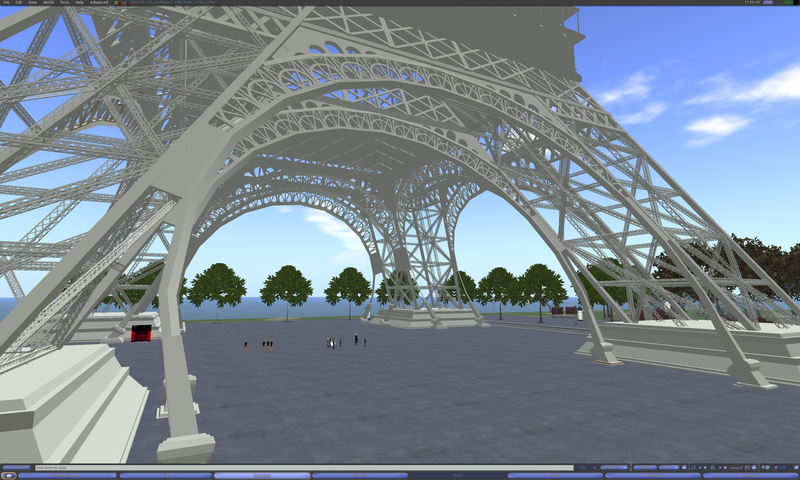 This amazing recreation of the Eiffel Tower is always a great place to stop and explore. 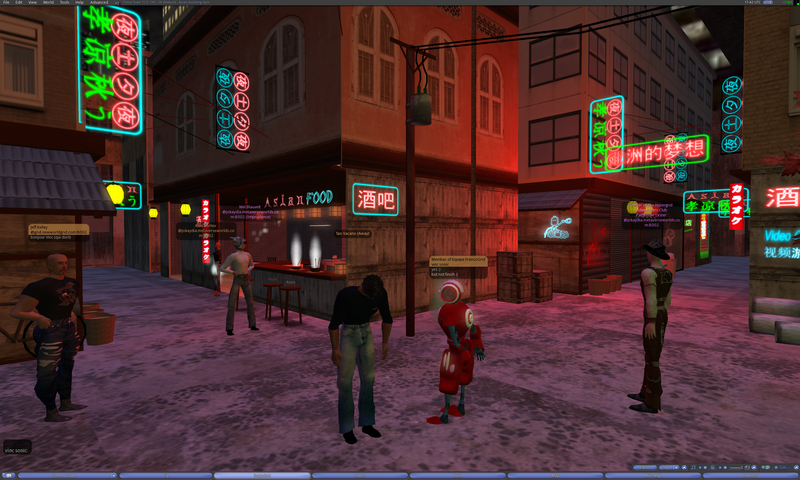 We arrive on the region China Town on Francogrid. Vinc Sonic is the red robot avatar. He was kind enough to meet us and show us around during our visit. 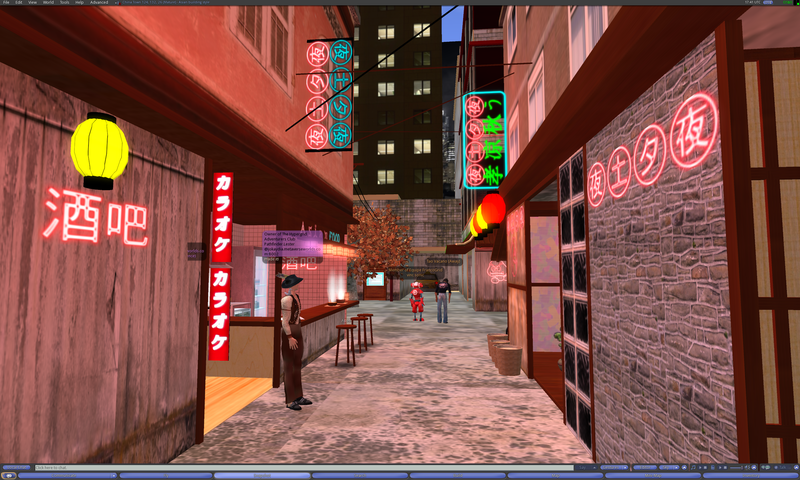 In this pic you can see how Vinc has created the backdrop of a huge modern city surrounding a very intimate series of city streets with small shops. 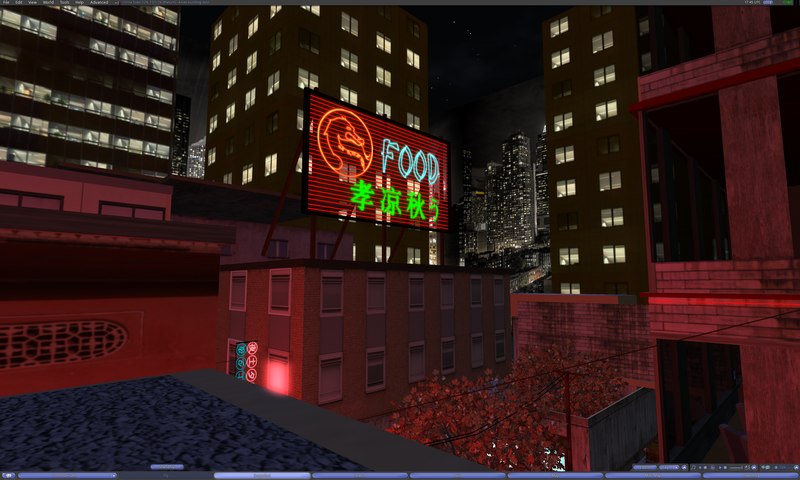 This gives China Town a very realistic feel. 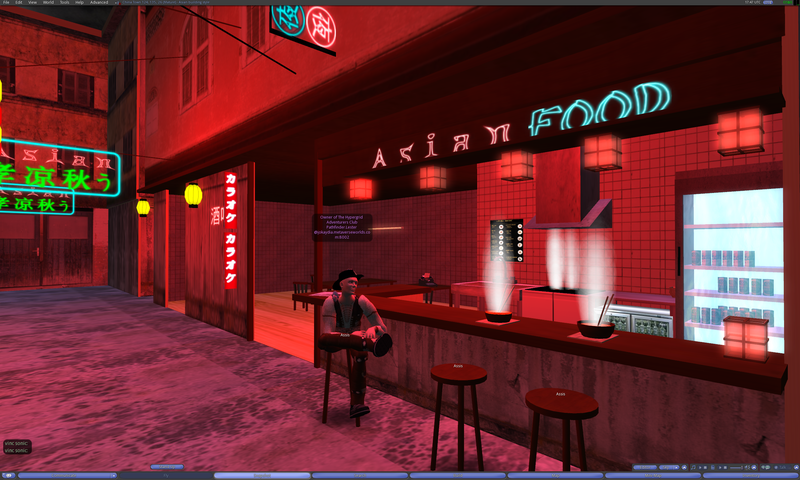 Most of the neon signs in the city are animated, so all the streets are filled with a flickering glow. Very cool effect. Stopping to grab some noodles. 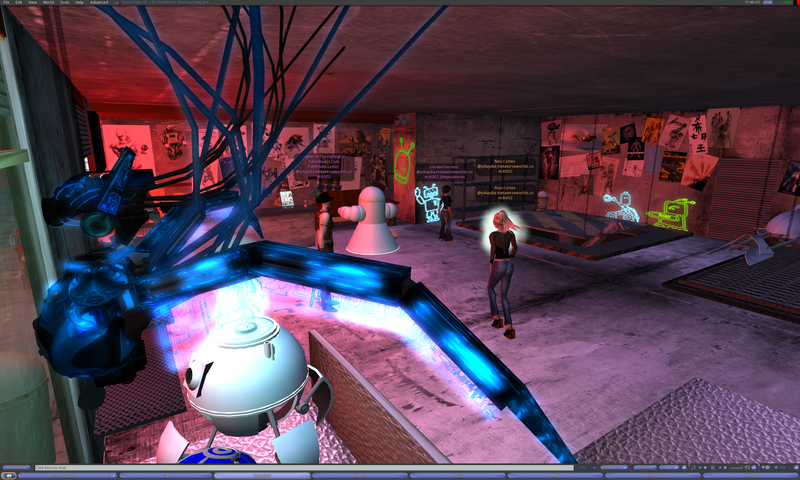 This is the entrance to Vinc's robot repair shop. 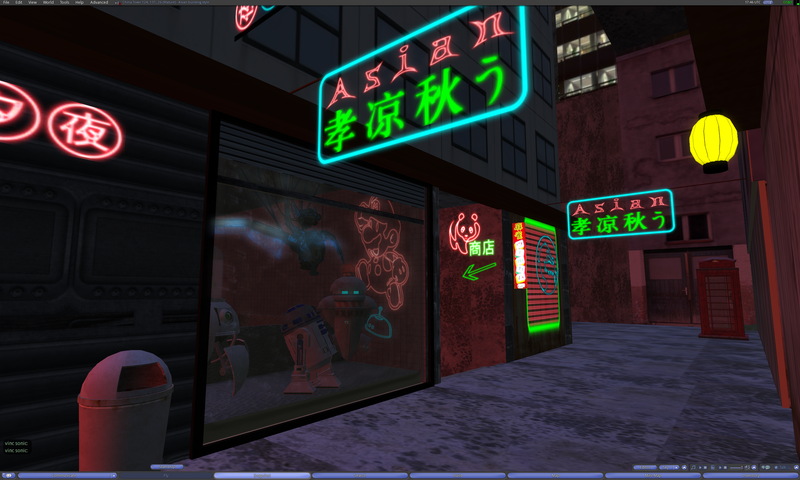 You can see some interesting robots in the storefront window. 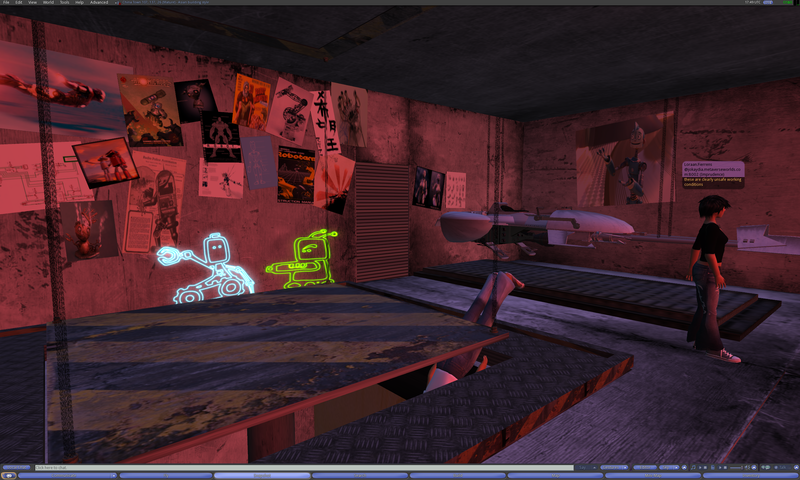 Inside Vinc's robot shop. The robots in the window are very detailed. This is a place that really encourages you to explore and look at things very closely. Looks like someone has fallen into the lift. Be wary of safety hazards. Check out all the cool robot posters on the wall. Little touches like that add a lot to the sense of realism. Creating virtual spaces that feel real and immersive requires a lot of hard work. 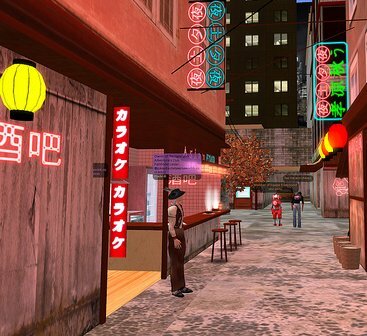 With its careful attention to detail, creative lighting and layout, China Town is a great place to explore with a group of friends. Great work, Vinc! 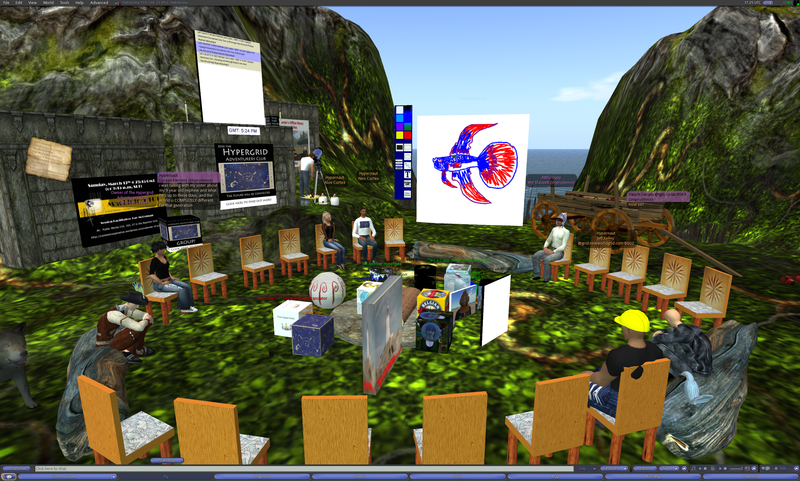 This entry was posted in Announcements, Avatars, Hypergrid Adventurers Club, OpenSim, Virtual Worlds and tagged avatars, China Town, francogrid, HyperGrid, Hypergrid Adventurers Club, jokaydiagrid, metaverse, online communities, OpenSim, ReactionGrid, virtual worlds by John "Pathfinder" Lester. Bookmark the permalink.